In Williams v. Minute Men Select, Inc., 2016-Ohio-7509, the 5th District Court of Appeals examined whether the trial court properly excluded from evidence the opinions of non-testifying doctors. The claimant had an allowed workers’ compensation claim for injuries to her ankle, which included the following allowances: left ankle bimalleolar fracture, major depressive disorder, pain disorder, and post-operation wound infection, left ankle. The claimant moved the Commission to additionally allow her claim for reflex sympathetic dystrophy (“RSD”), also known as complex regional pain disorder. The Commission disallowed the condition, causing claimant to appeal to the trial court pursuant to R.C. 4123.512. At trial, claimant called one of her treating doctors to testify about the alleged causal relationship between her injuries and the development of RSD. Claimant attempted to have her expert testify about the opinions of non-testifying doctors, who also held the opinion claimant developed RSD. In addition, claimant moved to admit the records of such non-testifying doctors containing their opinions. Minute Men objected to the admission of the opinions of the non-testifying doctors on the ground that such evidence was inadmissible hearsay. The trial court agreed, striking the offending testimony of claimant’s expert and excluding the records containing opinions of the non-testifying doctors. After a 3-day trial, the jury returned a verdict in favor of the employer. The claimant appealed to the court of appeals, arguing such records of non-testifying doctors were admissible under the hearsay exception to the evidence rules. The court of appeals, however, rejected the claimant’s argument. In support of its decision, the court cited case law from several Ohio courts of appeals, as well as the 5th District’s own precedent. The overwhelming consensus among Ohio courts of appeals finds the opinions of non-testifying doctors is hearsay whether presented as documentary evidence or through the testimony of a testifying expert. This case demonstrates a significant distinction between the proceedings before the Industrial Commission and trials before a court of law. 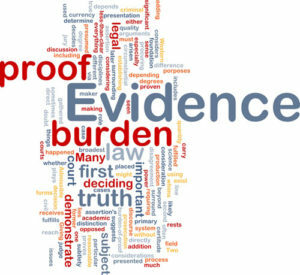 While the Commission liberally admits nearly all evidence in its hearing process, including hearsay evidence, Ohio’s trial courts are governed by the Ohio Rules of Civil Procedure and Rules of Evidence, which may limit the admission of evidence at trial.